Single-Handed: Mystery and Suspense on Television. 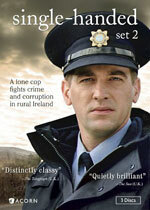 Owen McDonnell stars as Garda Sergeant Jack Driscoll in Single-Handed, a drama set in rural Ireland. He assumes the role his father played as a lone cop who fights crime, corruption, and complicated family affairs in his coastal community. 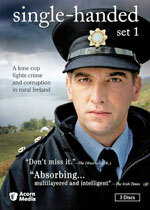 The series premiered on RTE in Ireland and ITV in the UK in 2007.